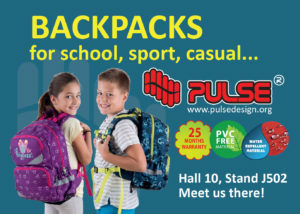 At March 13-15, 2018 in “Crocus Expo” International Exhibition Center with great success took place 25th Anniversary International Specialized Exhibition of writing and office goods “Skrepka Expo” – the biggest and most significant in Russia B2B event for markets professionals’ clerical, office, school and children’s products, goods for hobbies and creativity, souvenirs, consumables for office equipment and other related topics. 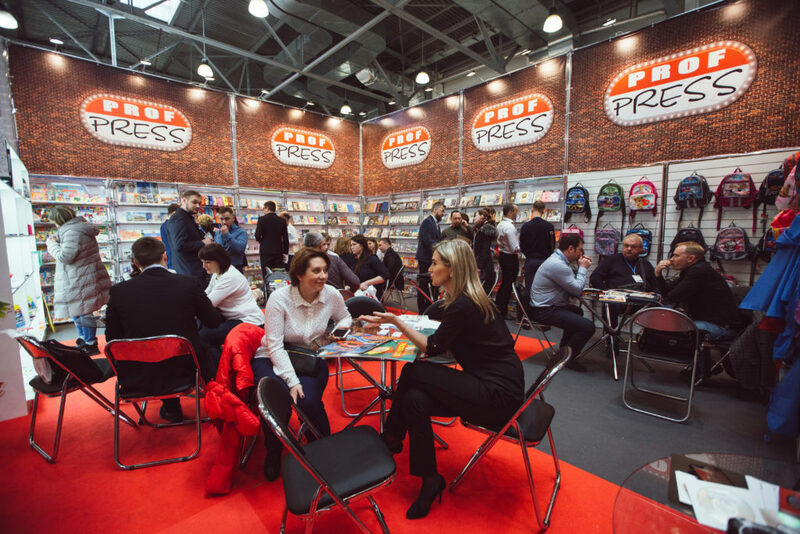 235 exhibitors from different countries took part in the maim stationary event: Russia, Belarus, Kazakhstan, Armenia, Germany, India, Italy, China, Turkey, France, Great Britain, Czech Republic, Thailand and others. The total area of ​​the exposition was 12 500 sq.m. 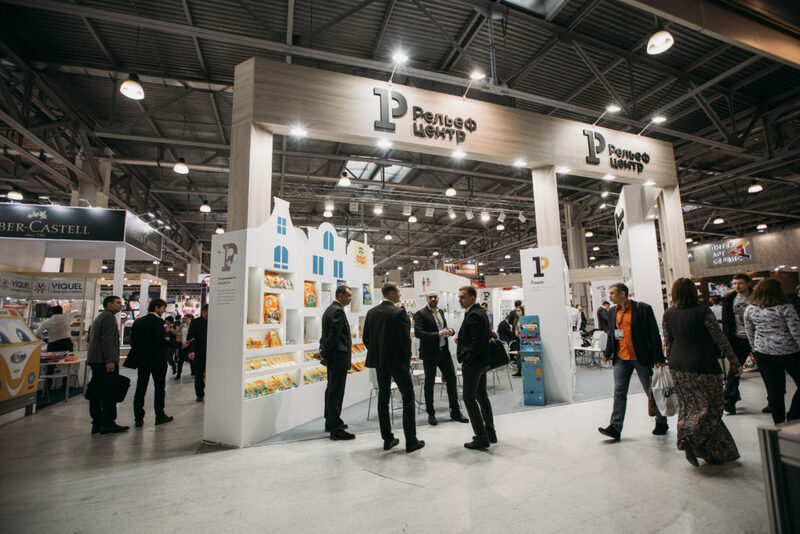 For three days, the exhibition was visited by 10,971 visitors – specialists who could get acquainted with the hits of commodity groups of companies, test, negotiate, conclude contracts for the next season, and find new suppliers and manufacturers. This year 15% more new companies from related industries participated. Particular attention of participants and visitors was directed to the goods of the hobby group and creativity. Favorable conditions were created for the work of participants and visitors. Guests of the exhibition during all the two days were treated free of aromatic hot coffee from the Coffee Grain Coffee Shop, which perfectly complemented the pleasant atmosphere of communication and comfortable cooperation. Beautiful girls – sailors with flowers for visitors, as well as a welcome drink with light snacks and sparkling wine created a spring festive mood already from the very opening of the exhibition. Atmosphere delicious gifts from the Directorate support photo-action for social networking – “Do post – get cupcake”, for participation in which everyone got a sweet gift, made friendly confectionery CupCakes. During the exhibition, many exhibitors enthusiastically noted a large number of meetings with potential and regular customers, and the fact that there was no free time, one meeting is replaced by another, and so on throughout the work exposure without interruption. 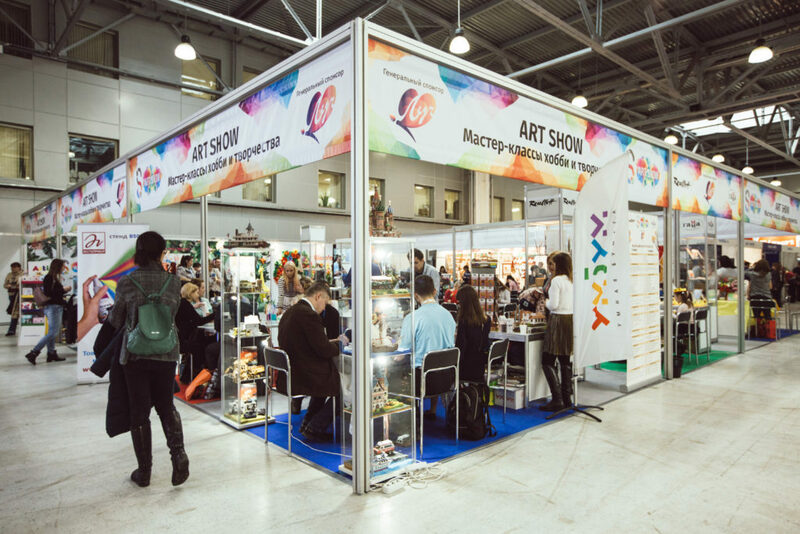 Within the framework of the exposition, the creative site ART-SHOW worked, which gathered 13 companies of participants – manufacturers and suppliers of hobby and creativity products. More than 600 visitors took part in 70 fascinating master classes, prize drawings, fascinating art-quest, the participants of which were given the chance to be the first to get acquainted with the unique creative techniques of the participating companies. 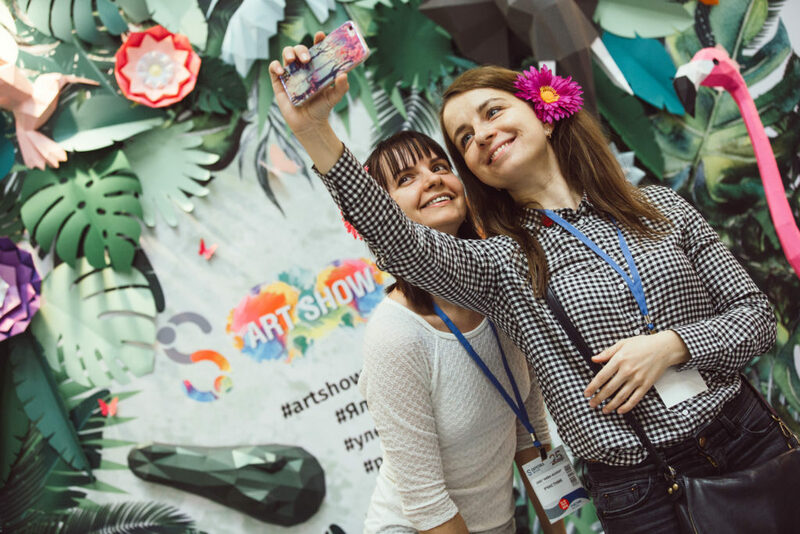 On the platform was to create a beautiful spring photo area of ​​polygonal shapes and floral art installation, against which visitors and exhibitors gladly took photos, did chek-in and post photos on social networks. 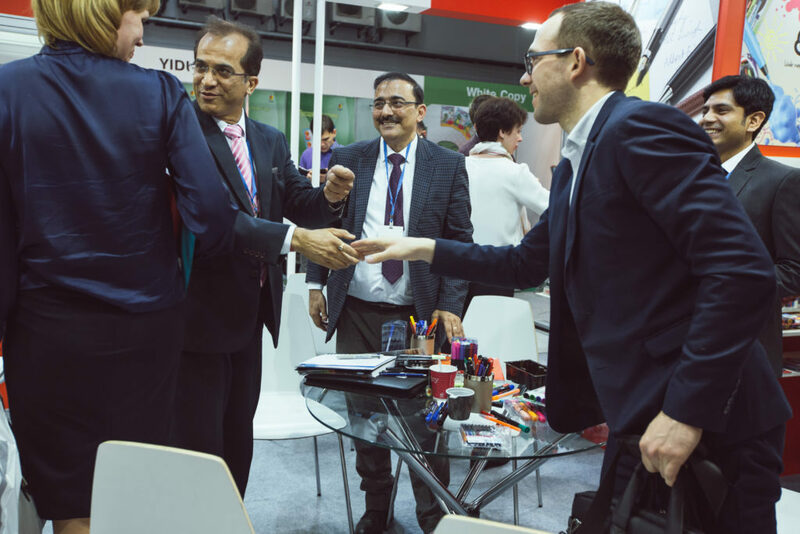 All the exhibitors noted the great activity and professional composition of the visitors, and the majority confirmed their interest in participating in the Skrepka Expo exhibition from 12-14 March 2019, which undoubtedly underscores the need and effectiveness of the event. 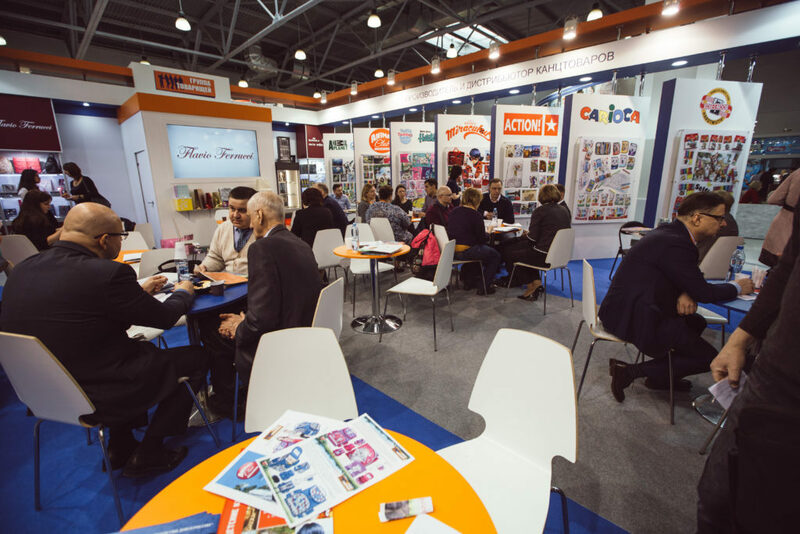 The exhibition organizers are grateful to everyone who took part in the annual stationery holiday “Paper Clip Expo” and in 2019 plans to increase the exhibition area of ​​up to 2 halls (Hall 10 and Hall 11, Pavilion 2 of IEC “Crocus Expo”) and to prepare a more rich eventful a platform with thematic events, presentations, attraction of new top exhibitors and interesting guests! “Skrepka Expo” – uniting the best!